Two-sentence summary: Vivi was the only person who understood Jess enough to make love blossom out of her anger and loneliness. But when Vivi passes away suddenly during their senior year, Jess must learn how to channel her loss into something beautiful. Portrayal of LGBTQ issues: This book features a romantic relationship between two cis lesbian women. Because it’s mentioned in the main synopsis and not a spoiler, though, I will say that one of the women dies unexpectedly. It does follow the “bury your gays” narrative but is nuanced and meaningful enough that I don’t think it deserves the negative connotations of that trope. The Meaning of Birds also mentions trans issues and features an aromatic minor character. What I loved: First of all, even though this doesn’t have to do with the story itself, the cover illustration is gorgeous. If my rating was based on the cover alone, it would have easily gotten a 5/5. It’s a wholesome, pastel aesthetic that drew me to the book before I even knew what it was about. Based on other comments I’ve seen, other readers found the cover very visually appealing, too. And the book reflects that beauty as well as the beauty of sorrow and healing from the sudden loss of a partner. When I began reading the book, I worried that this would just be another story where a gay character dies to show how hard being LGBTQ is. But it was more than that. Jess was a living, feeling character and her grief seemed so real. Coming to terms with Vivi’s death and all she left behind is a messy, difficult path, but it’s one that I feel would be cathartic for anyone who’s had to let go of someone they loved. The main reason that I didn’t give it four or five stars, however, was because it had a few comments that I felt were unintentionally transphobic. Discussing how a trans woman was born male in a less-than-accepting way and talking about “gold star gays” prevented me from giving it a higher rating. Again, I don’t think this was on purpose exactly, but it was still prominent enough that it felt worth mentioning. 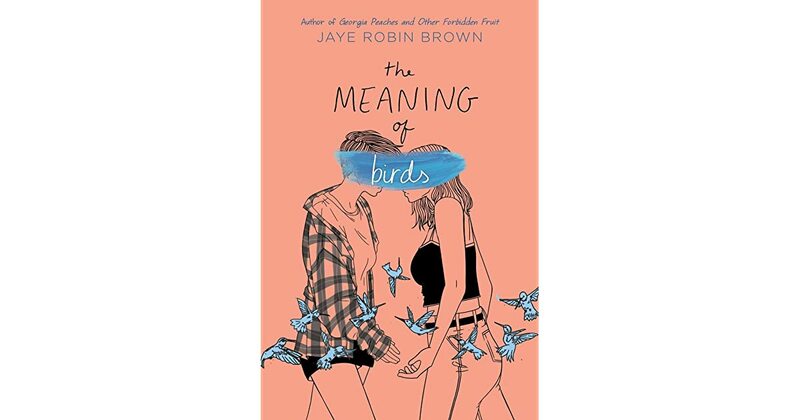 Recommended: I’d recommend The Meaning of Birds for anyone who wants to read a raw and healing coming of age. If you’re looking for more of a sweet and uplifting queer love story, you might want to save this one for when you’re ready to read something more tragic (though still ultimately uplifting). Two-sentence summary: Henry “Monty” Montague, a young earl of England, embarks on one last Grand Tour of Europe with his best friend (and crush) Percy and his sister Felicity before taking over his father’s estate. But when their trip takes an unexpected turn, Monty and his companions must throw their vacation out the window and confront the danger (and their feelings) head-on. Portrayal of LGBTQ issues: Gentleman’s Guide features a queer relationship between two cisgender men, one of whom is a person of color and disabled (epilepsy). One of the love interests is bisexual and the other is ambiguously queer so the book also has excellent bi representation. It also features an aromantic/asexual character, though this is explored more in its sequel The Lady’s Guide to Petticoats and Piracy. What I loved: Part of me debated whether or not to review this book because it is so popular that most have already heard of it. 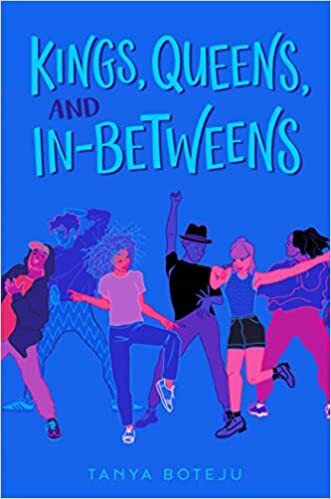 But because I’m using this blog as a catalog for notable queer YA books (and because it’s genuinely well-written), it felt important to include. 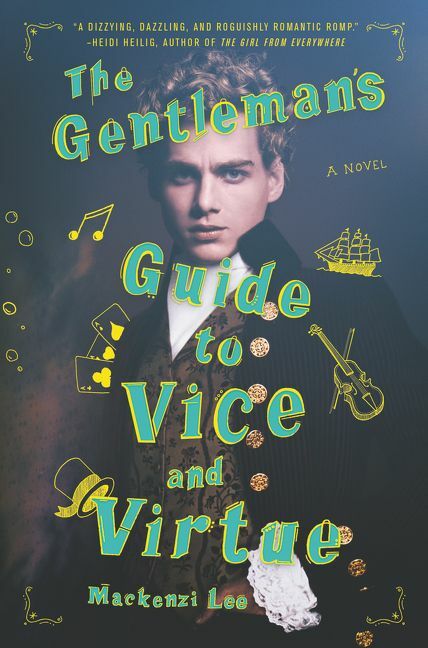 The Gentleman’s Guide to Vice and Virtue feels like what Oscar Wilde might have written if he’d been a twenty-first century YA writer. It’s a snarky, yet surprisingly profound adventure from the first chapter to the end. Monty’s not only a hilarious character, but he’s also more complex than he seems. As a bisexual man in the eighteenth-century, he carries a lot of internalized shame and abuse (both physical and mental) from those who didn’t understand him. In that way, his character feels very human and a fascinating depiction of what queer eighteenth-century men might have been like. What The Gentleman’s Guide does best is translate contemporary issues into historical fiction. Disabilities, racial prejudice, PTSD from child abuse, and other serious topics are all discussed in thought-provoking and timelessly relevant ways. These issues do not weigh down the comedic scenes, but they do add a tension that gives this book more depth than just a funny romance. One complaint I’ve heard in reviews on the book is that it’s somewhat anachronistic so if you’re an eighteenth-century history buff, that may bother you. But personally, I found that (similar to Moulin Rouge) it adds to the book’s charm and contributes to its fun and fantastical tone. The novel definitely doesn’t read like a text book, but what fun would it be if it did? It’s a YA romantic comedy with a good dose of swashbuckling romance. Like all good romances, there’s got to be a bit of the unbelievable in there. That being said, Gentleman’s Guide feels well-researched and it seems like most of the possible anachronisms are deliberate. Recommended: This book is highly recommended, not only for its fascinating portrayal of a queer relationship in eighteenth-century England but the adventure it takes you on. If you love Oscar Wilde’s work, books about young (queer) love, and journeys through eighteenth-century Europe, Gentleman’s Guide is a good YA fiction book to read!